The Audio Circuit is set up in 1996 with as goal to provide a free database on hifi, including user reviews, information, pictures, manuals and a forum. The Home Audio section contains information on home audio manufacturers and models. We have listed over 3.700 brands and 90.000 models, among which classic manufacturers like Acoustat and Quad, exotics like Cosmostatic and new companies like Sanders Sound Systems. We currently have over 50.000 manuals and schematics on audio equipment. All manuals and schematics are available for free download. There is an extensive Do It Yourself section where you can find everything you ever wanted to know about building your own equipment. There are experts, projects, information on materials and parts, DIY packages and a lot more. Do you have an audio DIY project that you want to share with us? Send it over to to us and we will make an article on it and publish it on the site. Please contact us. 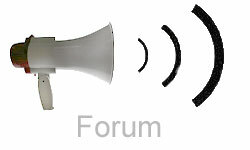 Our Audio Forum is relatively new. It has emerged from our questions and answers pages. All information previously on the question and answer pages is now incorporated in our forum. We have forums dedicated to single brands, and forums dedicated to types of equipment. On our other site, Hifi Manuals, you can browse through the biggest hifi manual collection in the world - free of charge! We currently have over 65.000 manuals available in over 750 different brands. All our manuals are in the PDF file format and can be opened with Adobe Reader.